The immigrants have shaped Australian Continent. 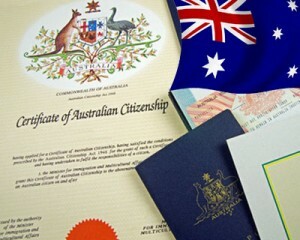 It is the country with a vast number of migrants, since 1949, the Australian immigration department has granted citizenship to four million people. Australia has amended its immigration policies to facilitate immigration to the country. Australia has set its target to increase the population annually one percent through migration in the initial stage. Australia is not only a great place for visitors who come to see this kangaroo land, but also to the citizens who would love to establish themselves here with the Australian Immigration programs. Department of Immigration and Border Protection checks the applicants eligibility, the DIBP grants permanent residence to the applicants through skilled immigration visa programs. The potential applicants will be tested based on the English levels education and experience. Australia Immigration clearly opens its doors to the skilled professionals who aid the economy and the investors who invest in the depressed regions of Australia. The students can seek the permanent residency in Australia post completion of the education. There are excellent opportunities for the engineering graduates under skilled migration programs. Australia introduced various visa programs on the similar lines of Canada; all the skilled programs are the point based system. This point based system fetches the Australia the finest talent. Australian service industry, transport system is very robust and makes the travel very easy in the country. The benefit of having the Australian permanent resident visa allows you directly to travel New Zealand without any travel visa. Australian immigration bestows you the health care offered by the social security programs. To obtain Australian visas, applicants must have to go through the DIBP official website. The visa processing is made online through the Immi Account. Applicants must create immi accounts to apply for various visa programs. To make your visa processing a successful one, take the help of experienced people, who can guide you through out the visa processing. Please fill out a Free Assessment Form. One of Our Consultants will get back to you. How long I can Stay with my father on Medical Treatment Visa in Australia? My son is going to complete his engineering this year . He is willing to work in Australia , May i know in what department we can get jobs for Engineers in Australia as per your knowledge.